first I would like to preface this post by saying that I am not the kind of girl who likes to hand out makeup advice. ever. there is a back story and most friends who have known me long enough know that I am pretty much clueless when it comes to the makeup department. I usually use a bit of under eye concealer (a must with a new baby and sleepless nights) some brown mascara and maybe a clear gloss. so that is why this post is kind of a big deal to me. because I am going to tell you about an amazing lip stain I purchased a few weeks ago and I love it so much that I feel the need to tell someone. Orange Thyme - a featured Etsy seller this past summer in fact, has a ton of amazing vegan beauty products with incredible prices. I couldn't help myself but order something to make me feel a little special in my yoga pants and all I can say is - wow! 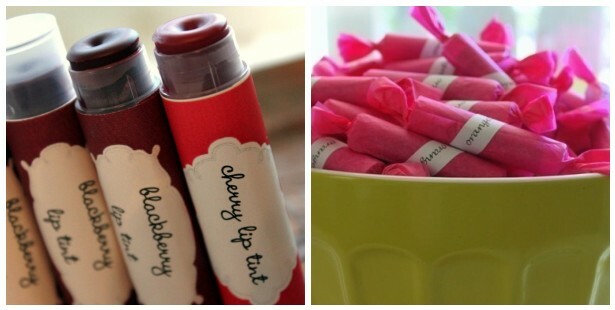 I am in love with the lip stains. I ordered the blackberry and the cherry and they are both such perfect colors. The texture of these are super soft and smooth. the perfect hint of color almost like you just ate a handful of fresh berries or a cherry popsicle! A very subtle berry scent and long lasting to boot. and these babies have all of four ingredients!! I am hooked and will be ordering more and can't wait to try out some of the other yummy looking products in the line! now if only I could get some of my other beauty rituals worked out. I am horrible about taking care of my skin and really would love to find a few more fun products to spice up my dull makeup bag. If you have any suggestions please do share!! you really don't use blush? i feel like blush is kind of a must for me...not that YOU don't look fabulous.